Chiko isn’t a fighter by nature. He’s a book-loving Burmese boy whose father, a doctor, is in prison for resisting the government. Tu Reh, on the other hand, wants to fight for freedom after watching Burmese soldiers destroy his Karenni family's home and bamboo fields. Timidity becomes courage and anger becomes compassion as each boy is changed by unlikely friendships formed under extreme circumstances. This coming-of-age novel takes place against the political and military backdrop of modern-day Burma. Narrated by two fifteen-year-old boys on opposing sides of the conflict between the Burmese government and the Karenni, one of the many ethnic minorities in Burma, Bamboo People explores the nature of violence, power, and prejudice. Nominated for the Massachusetts Book Award, Pennsylvania's Keystone to Reading Book Award, Tennessee's Volunteer State Book Award, Indiana's Young Hoosier Book Award, Maine's Student Book Award, and Illinois' Rebecca Caudill Young Readers Book Award. Now available in paperback and as an audio book from Audible.com, narrated by actor Jonathan Davis! I've been writing novels featuring South Asian girls for years—Indian-Americans, Indians, Pakistani-Americans, Bangladeshis. It was high time to write about a guy. Bamboo People, set along the Thai-Burma border, features not one male protagonist, but two. For three years my husband, children, and I lived in Chiang Mai, Thailand. While we were there we visited the Karenni refugee camps along the Thai-Burma border. I was astounded at how the Karenni kept their hopes up despite incredible loss, still dreaming and talking of the day when they would once again become a free people. I was impressed, too, by how creatively they used bamboo. Homes, bridges, transportation, weapons, food, storage, irrigation—all these and more depended on the resilient, lavish, and ecologically efficient bamboo plant. I began to think about that plant as an excellent symbol for the peoples of that region. During that time I also began to understand how tough life is for Burmese teenagers. Only about a third are enrolled in school, and most can’t find jobs. According to international human rights organizations, Burma has the largest number of child soldiers in the world, and that number is growing. These young soldiers are taught that the Karenni and other ethnic groups are the cause of the problems in their country and are rewarded with money and food if they burn, destroy, torture, and kill ethnic minorities. What would you do if your mother was hungry and your only option to feed her was to fight in the army? What about if you saw soldiers burning your home and farm while you ran for your life? Wouldn’t you be terrified, like Chiko? Wouldn’t you be angry, like Tu Reh? In my travels far and wide, I’ve learned two things: all people feel powerful negative emotions, but we all face choices when it comes to acting on them. I hope you connect with Tu Reh and Chiko as you read Bamboo People. 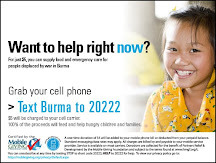 If you want to promote peace and democracy in Burma or help refugees fleeing from that country, please browse the sidebar where I provide resources, an educator’s guide, and suggestions for involvement. Slightly smaller than Texas in size, the country of Burma shares borders with India, China, Bangladesh, Laos, Thailand, and the Bay of Bengal. It’s a land of diversity, with over one hundred languages, several religions, fertile plains, and rugged highlands. The country was once described as the “rice bowl of Asia” and enjoyed one of the highest literacy rates in Southeast Asia. Sadly that didn’t last. Today about ninety percent of Burma’s people live at or below the poverty line, and the country’s health system is ranked second worst in the world. About ten percent of children die before the age of five, and the literacy rate has been plummeting each year. How did the region’s “rice bowl” become a place of suffering, disease, and hunger? It’s a sad story of injustice and corruption. Once ruled by Britain, Burma became an independent parliamentary democracy in 1948. Ethnic groups like the Shan, the Karen, and the Wa wanted to keep their independence and avoid being controlled by the Burmese majority. Despite tension and strife, the country survived as a representative government for fourteen years. In 1962, however, military leaders murdered the elected leaders and took control of the country. Things went from bad to worse—the army shut down free elections, took over newspapers and businesses, and clamped down on freedom of expression, association, and assembly. People tried to resist, but the military brutally crushed student and worker demonstrations in the 1960s and 1970s. The government tortured and imprisoned anyone brave enough to speak out. At the same time ethnic groups along the country’s frontiers continued to struggle for independence. To fight these “insurgents,” as they were labeled, the government began forcing young Burmese men into the army. On the eighth of August (8/8/88), hundreds of thousands of people gathered peacefully and demanded that the military regime step down in favor of an elected civilian government. But the nonviolent protest didn’t work. Soldiers opened fire on crowds of unarmed marchers, killing thousands, and arrested and tortured thousands more. Aung San Suu Kyi, daughter of one of the first leaders of Burma who had been killed in 1968, helped to form a political party called National League for Democracy (NLD). The military government put her under house arrest in 1989 and threw many of the top senior NLD officials in prison. Even when the people voted resoundingly for Suu Kyi and the NLD in a 1990 election, the military refused to step down and seat the new leaders. The government became progressively more repressive. When cyclone Nargis hit Burma in May 2008, the government initially blocked international aid and put more people in jail without just cause. By the end of 2009, the total number of political prisoners in Burma was over two thousand. The military makes money by controlling industries like mining, logging, oil, transport, manufacturing, apparel, and electricity, and by regulating exports and foreign investment. What happens to all that income? Half is spent on the military and next to nothing on health care and education. And the rulers are lining their own pockets, of course. While the elite live in luxury, the vast majority of Burmese don’t know if they’ll be able to feed their families tomorrow. As for the ethnic groups, the army tortures and kills minorities, uses them for hard labor, and burns their villages. Thousands of people hide in the jungle as internally displaced people, while some flee across the border to Thailand to seek shelter in refugee camps. About one hundred and forty thousand refugees live in nine camps along the Thai-Burma border. Over fifty thousand refugees representing different minority groups in Burma have been resettled in other countries such as the United States, Canada, Australia, and Norway since 2004. The Karenni, however, were not allowed into the United States until 2009. At the time of this writing, the situation for the majority of Karenni still in Burma or Thailand remains grim. On November 13, 2010, under international scrutiny after a questionable "election" where the ruling party won most of the seats, the military goverment released Aung San Suu Kyi from house arrest. Immediately after the election, even as news of Suu Kyi's release spread through the world, the Burmese Army stepped up attacks against the Karen people along the border. That move by the goverment, sadly, received hardly any coverage by the international media. The genocide continues. You may not find the country of Burma listed in some books printed after 1989. That year the military government changed the country’s official English name from “the Union of Burma” to “the Union of Myanmar.” Although the United Nations switched to Myanmar, the USA, the UK, and Canada are among the nations who refused to recognize the new name. As I’m writing this note, newspapers and magazines are also split. The New York Times, Wall Street Journal, and CNN use Myanmar, while the Washington Post and Time use Burma. For Bamboo People I chose to use Burma because in the Burmese language, "Myanma" is the written, literary name of the country, while "Bama" is the spoken name of the country. Download an Activity and Discussion Guide — perfect for an upper elementary or middle school classroom, boy or girl scout troop, library, or book club. Primary Source has created an excellent curriculum guide on Burma related to the book. Also, feel free to use this youtube video of the author reading. 1. What do you know about Burma? 2. Look at the map of Burma and read A Brief History of Burma, Why I Wrote Bamboo People, and Burma vs. Myanmar. Now that you know a little bit about Burma, what do you wonder or want to know more about Burma … ? 3. When Chiko’s father was taken, he called out, “Take care of your mother, Chiko.” (p.6) and although Chiko replied that he would, he does not think that over the four months that have passed, he has kept that promise. In what ways has Chiko taken care of his mother? In what ways has he not? Do you think Chiko has kept his promise, or failed to? Why? 4. Initially, Chiko sees Tai as uneducated but realizes that Tai has knowledge and skills that have enabled him to survive, whereas Tai initially thinks that Chiko’s knowledge and skills are not very practical. (p.56) Who are you more like: Chiko or Tai and what is the value in having the knowledge and skills that you have? Would you rather have the other knowledge and skills? Why or why not? 5. (p.82) “It’s done. Tai is going to confinement and I’m not. So why do I feel like the one who’s condemned?” What do you think of Chiko now? What do you think of Tai? Have you ever been in a situation like this? Which character were you and how did you feel? 6. (p.123) “Send Tai to Yangon instead of me.” Why do you think Chiko made this decision? How do you think he felt? What do you think Tai thought and felt? What do you think the other boys watching and listening thought and felt? 7. Do you think the Captain especially targeted Chiko and Tai? Why or why not? 8. What are some of the things that bamboo is used for? Do you use bamboo for anything? 9. Do you agree that, “[a] man full of hatred is like a gun … he can be used for only one purpose, to kill”? Why or why not? 10. Tu Reh’s father, Peh, says “I won’t command you my son. A Karenni man must decide for himself. Leave him for the animals. End his life now. Or carry him to the healer. It’s your choice.” (p.149) Do you think Peh wants his son to make a certain choice? Why or why not? This prayer was made into a song in the 1960s (written by Pete Seeger, but made famous by The Byrds) What does this prayer/song mean to you? Does it remind you of anything? 12. Why do you think the people in the refugee camp refer to Chiko as “your soldier” when they are talking to Tu Reh? Do you think that Chiko is Tu Reh’s soldier? Why or why not? 13. Why do think the book is called Bamboo People? Do you think that is a good title? Why or why not? 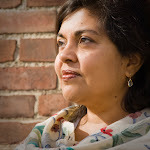 In this podcast episode, Mitali tells us about her new book, Bamboo People. 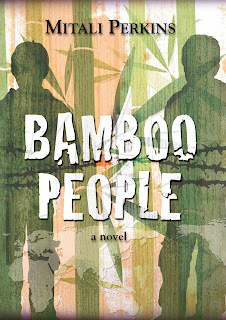 Bamboo People is a coming-of-age novel that takes place against the political and military backdrop of modern-day Burma. Narrated by two teenagers on opposing sides of the conflict between the Burmese government and the Karenni, one of the many ethnic minorities in Burma, Bamboo People explores the nature of violence, power, and prejudice. Perkins will speak at the BEA 2010 Children’s Author Breakfast, Wednesday, May 26 at 8:00 AM. She will be joined by Cory Doctorow, author of For the Win; and Richard Peck, author of Three Quarters Dead. Sarah Ferguson, the Duchess of York, and author of Helping Hand Books: Emily’s First Day at School will be the Master of Ceremonies. If your classroom, scout troop, or book group wants to help, why not raise $50 through a bake sale, car wash, or other brilliant idea and send it to Partners World? 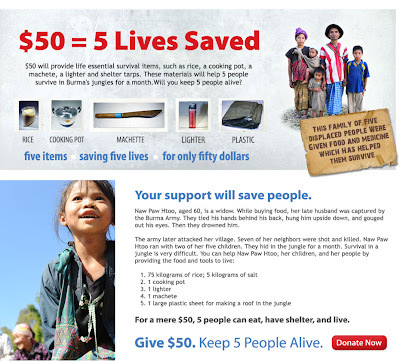 $50 can save five lives — providing rice, a cooking pot, a machete, a lighter, and a plastic tarp to boys like Tu Reh, Chiko, and their families. If you raised the money and sent it, write me (mitaliperk@yahoo.com) and I'll list you here along with other groups who have participated.